Download the Baltic LINes report on data availability The report “Data needs and availability” developed by HELCOM emphasises the need for data in order to propose planning solutions for linear infrastructure (cables and pipelines), fixed installations such as wind farms or shipping routes in the Baltic Sea. Download the infographic The Future of Maritime Spatial Planning Data Learn more about the development of the Baltic Marine SDI prototype. Download the Baltic LINes report on data exchange and dissemination The report developed by Aalborg University summarizes the results of the analysis of the prerequisites for a Systems Architecture for a Transnational Data Infrastructure for MSP. Report “Shipping in the Baltic Sea: Past, Present and Future Developments Relevant for Maritime Spatial Planning” was developed by Federal Maritime and Hydrographic Agency (BSH) under Work Package 2.1. “Screen and analyse available information, data and maps related to shipping in the Baltic Sea”. The report developed by the Latvian Ministry of Environmental Protection and Regional Development is a summary of the experience gained and the successful and unsuccessful practices, provided to the parties involved in the long-term development planning of different sectors as an example of a possible approach for involving sectoral representatives in future development planning in Latvia. Download the report “Exploring the future of shipping in the Baltic Sea” This report deals with the scenarios building activities done under the Baltic LINes project. The goal of this report is to discuss the results of the shipping scenario activities along different themes and thereby provide suggestions for other activities in the project, for example the development of recommendations for MSP. Download the study “Capacity Densities of European Offshore Wind Farms” A study dealing with the prospective capacity density of European offshore wind farms concentrates on two key questions: What mean capacity density (MW per km²) can be assumed for future offshore wind farms? How do different national regulatory frameworks influence capacity density? The present study has been conducted by the German consultancy Deutsche WindGuard GmbH. Planning criteria and their (different) application in different countries are of high relevance when trying to find the source for mismatches and to be able to suggest planning solutions. This report summarizes the knowledge gathered on planning criteria for shipping and offshore energy in the context of MSP. Main findings were made in course of discussions during project meetings, stakeholder consultations and expert interviews. Download “Infopaper From Planning Issues Towards Planning Solutions” This infopaper aim to identify possible planning mismatches which require adaptation and creation of planning solutions for pan-Baltic shipping and energy corridors. So the focus of the paper is set on the question: where is need to improve planning? The guide is strongly related and therefore also added as annex to the Baltic LINes report “Identification of transnational planning criteria in the Baltic Sea”. However, the guide can also be used independently as a source for those maritime spatial planners that are looking for practical advices for the designation of energy infrastructure at sea. Download “A Practical Guide to the Designation of Ship Corridors in Maritime Spatial Planning” The guide is strongly related and therefore also added as annex to the Baltic LINes report “Identification of transnational planning criteria for energy and shipping in the Baltic Sea”. 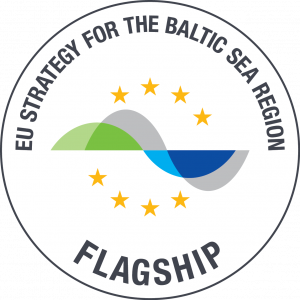 However, the guide can also be used independently as tool for those maritime spatial planners that are looking for practical advices for the designation of ship corridors in their national sea area – irrespectively if they are from within the Baltic region or an absolutely different part of the world. Download a report Energy MSP Challenge in Copenhagen 2018 Baltic LINes and Baltic InteGrid projects organized a stakeholder workshop to discuss future development of offshore energy production and grid in the Baltic Sea region on 30 – 31 October 2018 in Copenhagen. Find out more about results of the workshop in a report. Download Hamburg Workshop (15.02.2019.) results MSP Challenge Baltic Sea edition This report offers a bit more background on the MSP Challenge platform, notably its simulations with which was assessed whether users are actually reaching the targets that were set for them, following by a brief description of how the session was designed and what actually happened. Dozens of screenshots offer insights into what spatial plans the participants developed, whether these plans actually reached the targets, and what the further consequences were on shipping, energy and the ecosystem. The report is concluded with a reflection on how MSP Challenge can be used for MSP support.